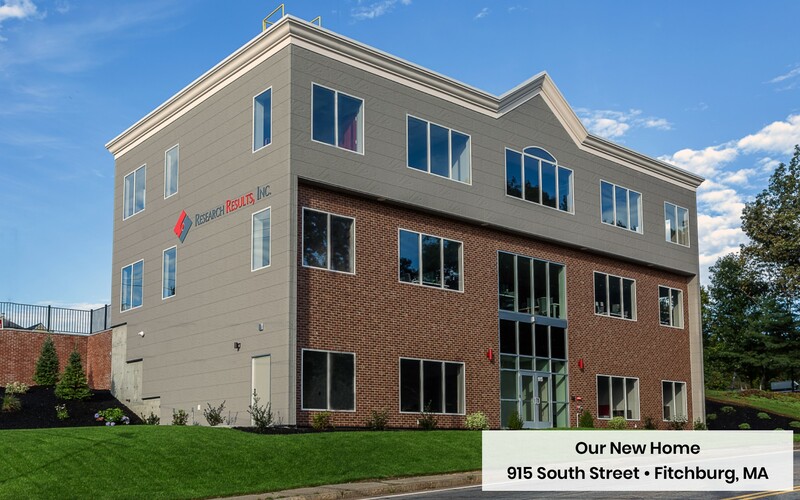 On October 1, 2018, Research Results opened the doors to our new home at 915 South Street in Fitchburg, Massachusetts. 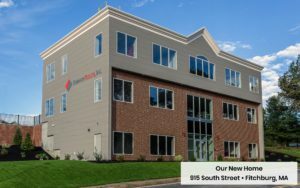 After several years of planning, the Research Results team is eager to begin this chapter at our new company headquarters. Over the past 30 years, the company has experienced significant growth in both the number of clients we serve as well as the number of employees employed at Research Results. Yet, it was no surprise that this transition would stay in the city Fitchburg. President and Founder John Zarrella, serves as an advocate for the city, dedicating his company to the community. “The genesis of the new building plan was always to stay in Fitchburg, our company colors represent our Fitchburg pride,” says Zarrella. John acknowledges the success of the company is due to the hard work of his talented team, and the company’s ability to rapidly progress in a niche industry.